We are so thrilled to announce that our collaboration the The Candle Creative is now live! 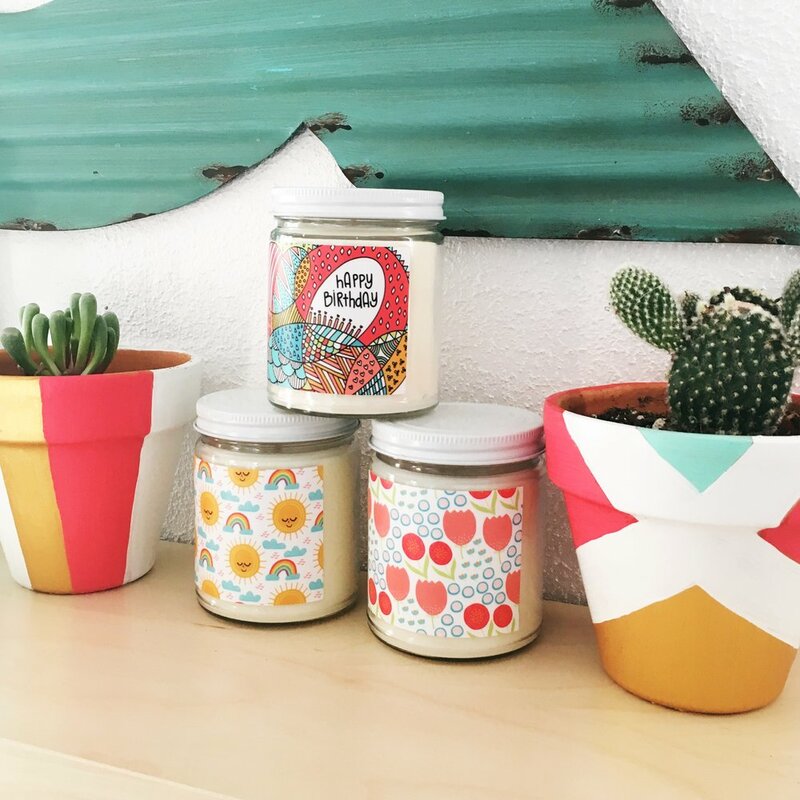 This Spring we have partnered with The Candle Creative to bring you three beautiful candle designs to brighten your day and make your home or office smell amazing! The Candle Creative is the love child of Candelles, a world renown candle company based in the mountains of Pennsylvania. 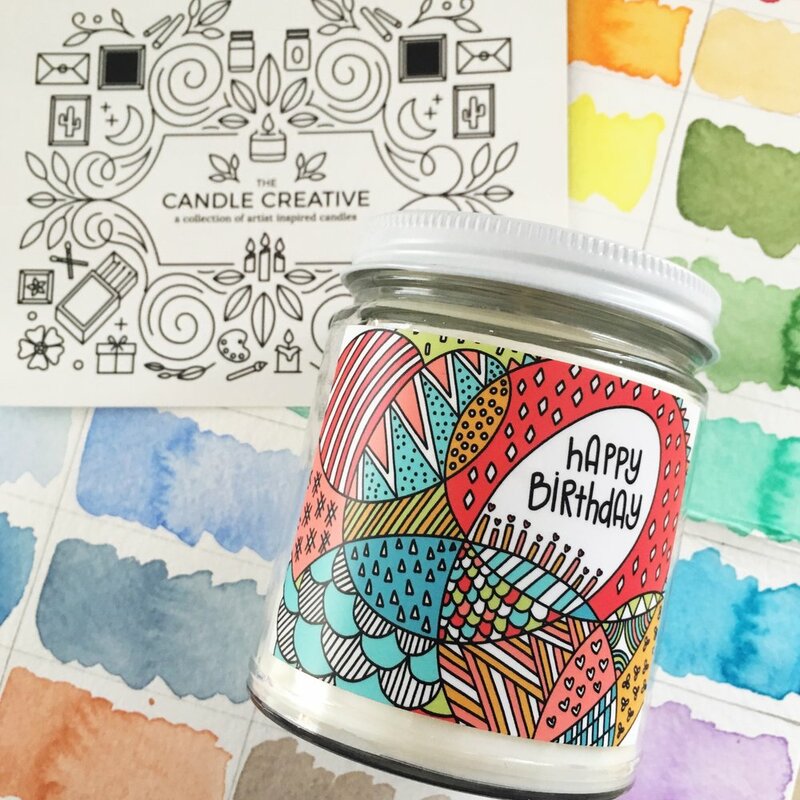 They hand select artists to design the candle labels that wrap their soy based candles because they believe that candles can not only smell good, but add to your home's decor. We are happy to announce that Kelly has designed THREE candles for their spring collection! 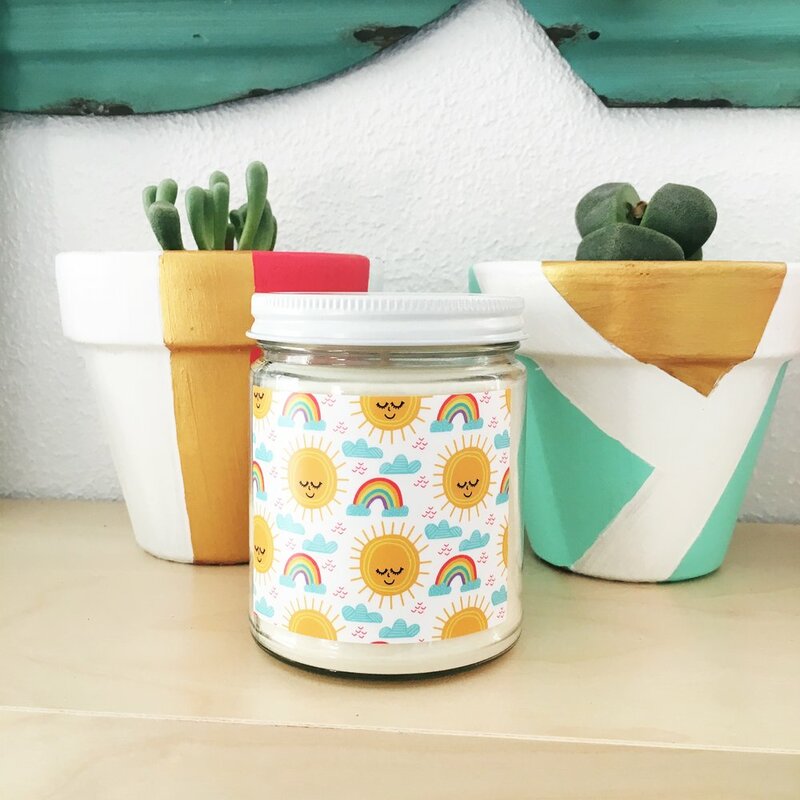 There is a "Happy Birthday" candle, the "Sunshine and Rainbows" candle, and a "Spring Florals" candle for you to choose from! Happy Shopping! Aug 13, 2018 With Your Help, We Have Given Over $10,000 To Kids In Need - Thank You! Nov 21, 2018 Our Favorite Small Shops That Give Back In a Big Way!